Exciting new Solar Finance possibilities on the horizon. Our hunt for lenders who will take on smaller projects is beginning to yield results. We now have the first few lenders that will aggressively look at projects in the 50 to 250 kilowatt. There are leases and loans available. Check with us to see if you are project might qualify! Lost your off taker or lost your financing? In Massachusetts we are still in the hunt for systems that may fall within the current SREC II framework. We have lenders that have Community, Municipal and Low Income Off-takers that are ready to go. Give us a call and let's find out how we can work together on this opportunity. Is Your Commercial Pipeline Real? Find out whose real in your pipeline and who's not! Companies are beginning to use our new client review process and it is working. Lenders tell us it is revolutionary and they love what it does for them and installers are figuring out who is for real and who is kicking the tires. Only spend precious time and development dollars on projects that have a pre-approval for at least 1 type of finance. Call or email us to find out more about how you can turn your pipeline into real projects with real financeable entities. The better you get at discerning who's hot and who's not, the more you can point your sales team in the right direction and increase the odds of a solid close that turns into a full project. Did you know Intelligen.energy is certified to train real estate agents for continuing education in solar? Real estate agents all over are hearing more and more from clients who want solar ready homes. Intelligen is experimenting with a couple of new Total Home Loan packages including 100% refinancing - baking in the cost of solar and other energy upgrades to the house right into the mortgage. 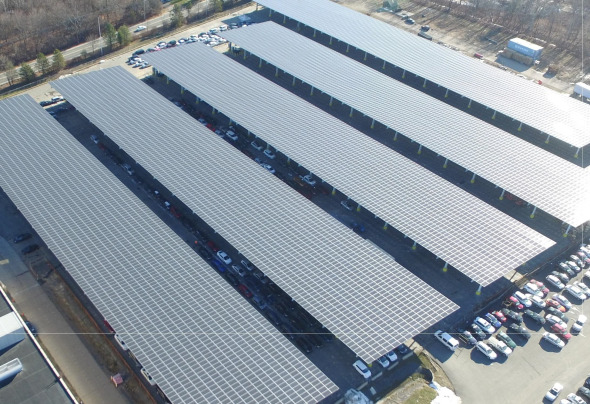 These products will be an aggressive competitive interest rate and will not have some of the attendant drawbacks of current solar loans, leases, and PPAs (No UCC-1). If you have an active residential installation division, consider working with us on this exciting new opportunity. Give us a call and we'll talk through how we can set you up to begin getting these loans.